Wales teams with stunning scenery and rich history. I’m castle crazy, so I’m drawn to the immense forts built by King Edward I along the north coast of the country. I could spend days exploring the giant stone buildings once used to keep the land safe. 01. 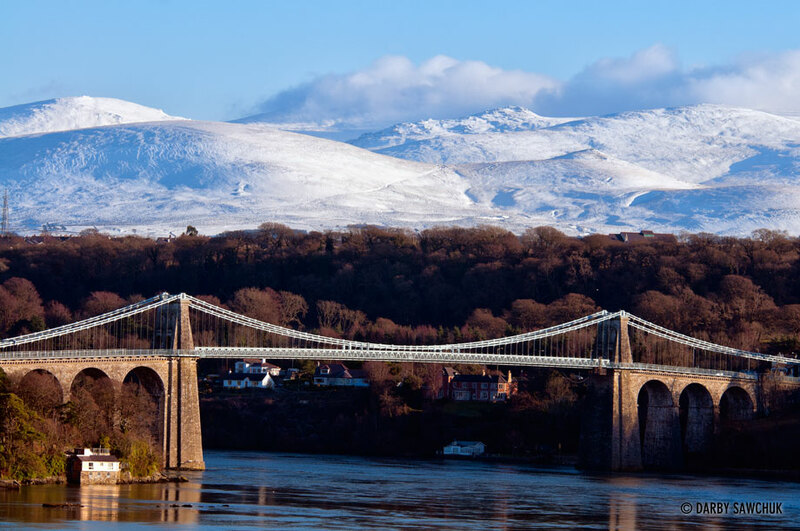 The Menai Suspension Bridge linking the island of Anglesey and the mainland of Wales with the snowy mountains of Snowdonia in the background. 03. 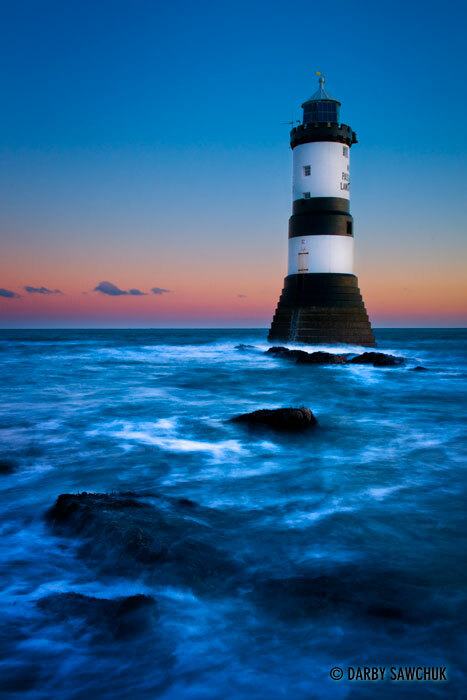 The lighthouse off Penmon Point on the island of Anglesey at dawn in Wales. 05. 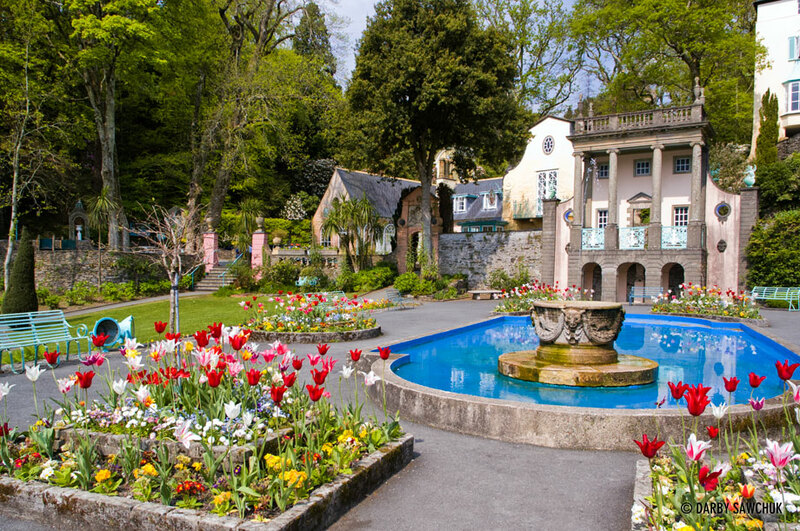 The central piazza of Portmeirion resort village in Gwynedd, North Wales, UK. 06. 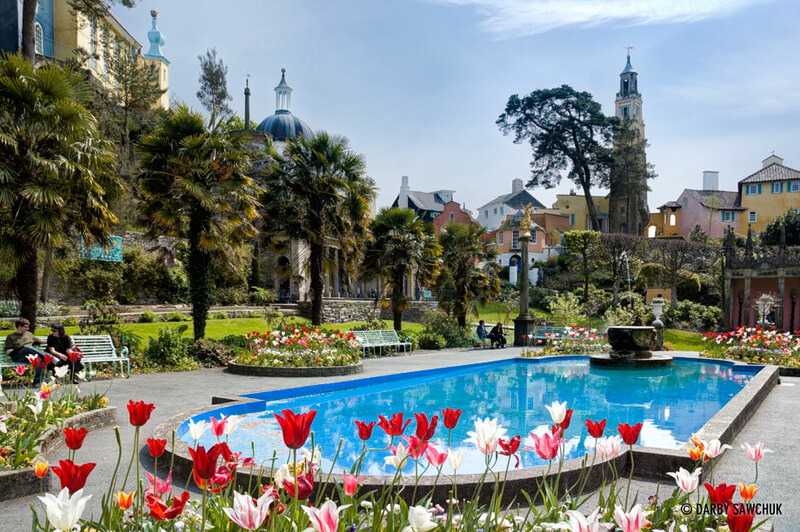 A fountain in the central piazza and the Gloriette of Portmeirion resort village in Gwynedd, North Wales, UK. 08. 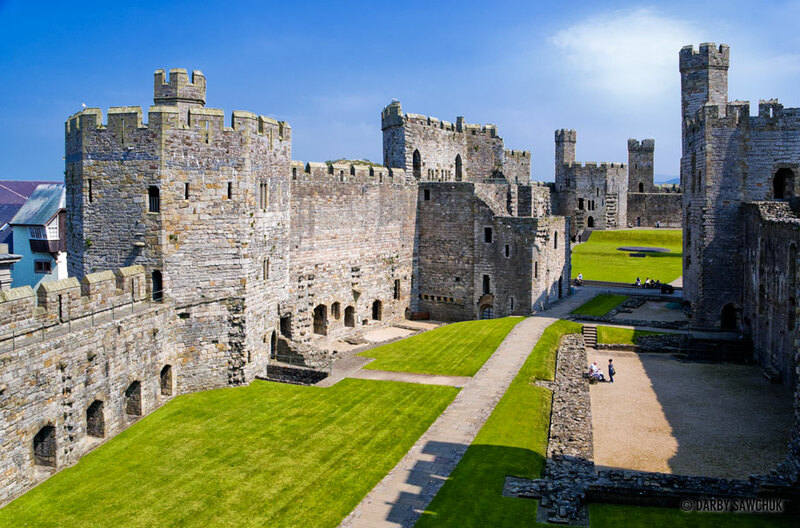 The courtyard of Caernarfon Castle in Gwynedd, North Wales, UK. 10. 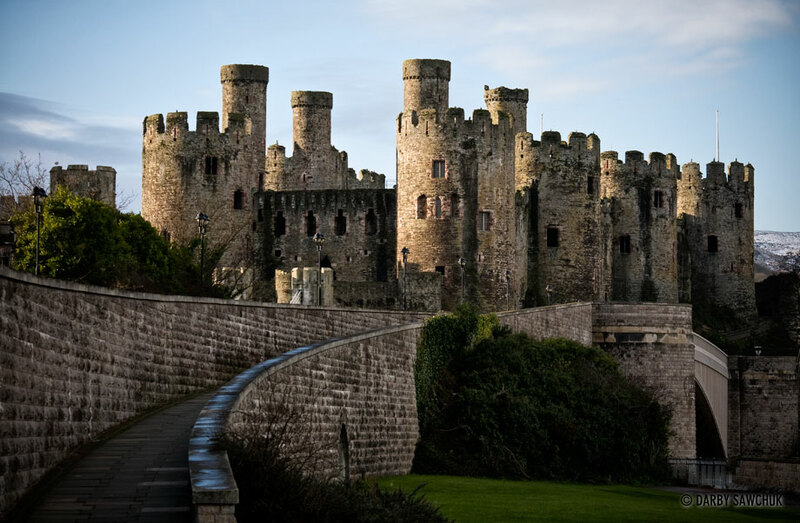 Conwy Castle on the north coast of Wales. 15. 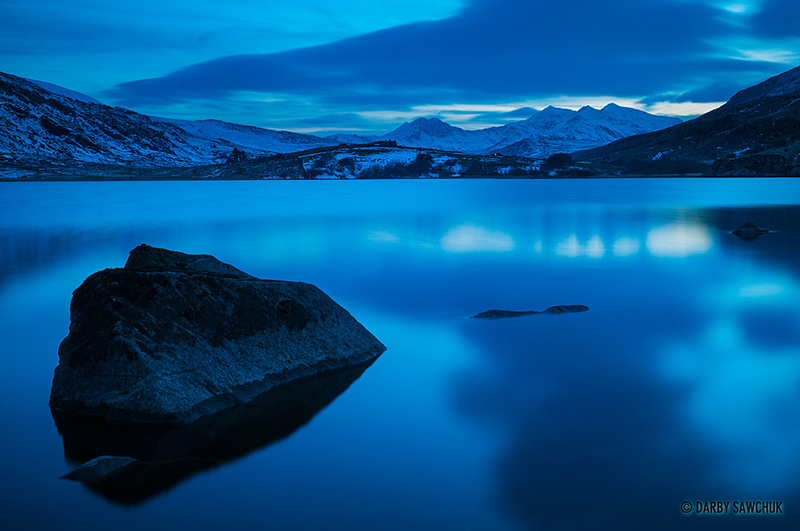 Snowdonia’s peaks, including Snowdon, Wales’ highest peak, viewed from the Llynnau Mymbyr lakes in North Wales, UK. 16. 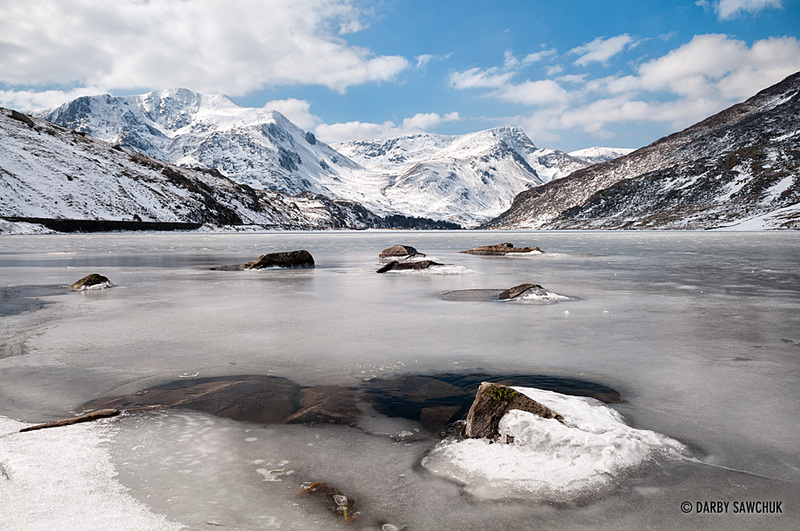 Winter ice covers the surface of Llyn Ogwen looking towards the snow-covered mountains of Snowdonia in North Wales. 17. 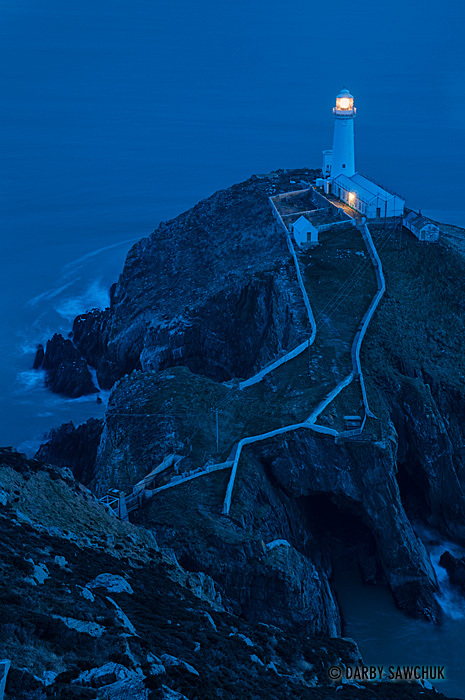 The South Stack Lighthouse at dusk on the island of Anglesey in North Wales. 18. 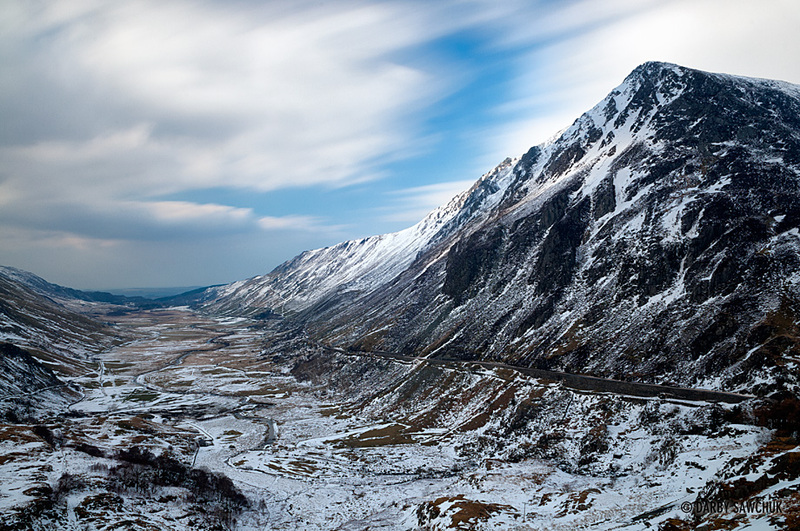 Pen yr Ole Wen, the seventh highest mountain in Wales and Snowdonia. 21. 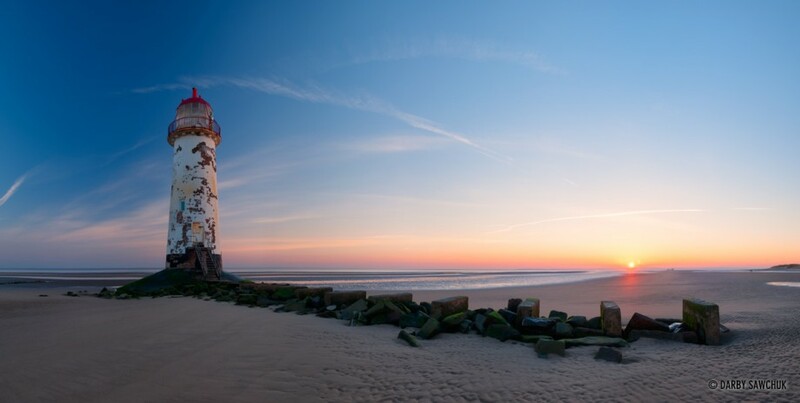 The Talacre Lighthouse in North Wales. 22. 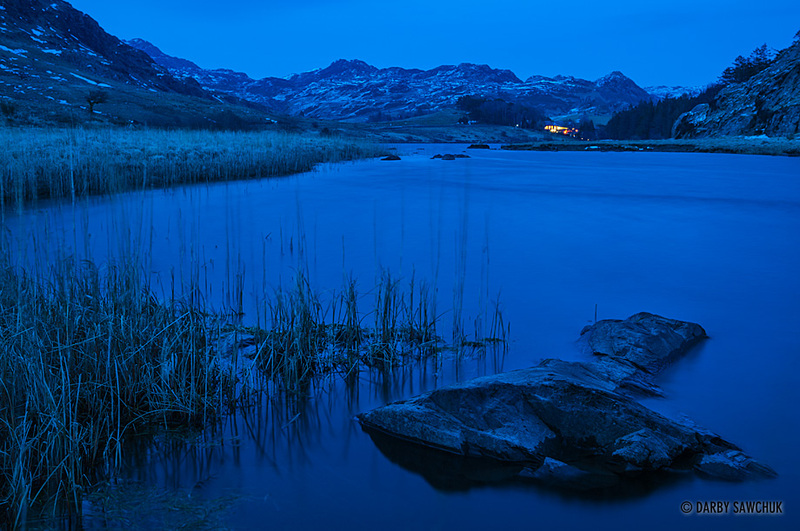 Looking towards Capel Curig and the mountains of Snowdonia at dusk from the shores of Llynnau Mymbyr lake in North Wales. 23. 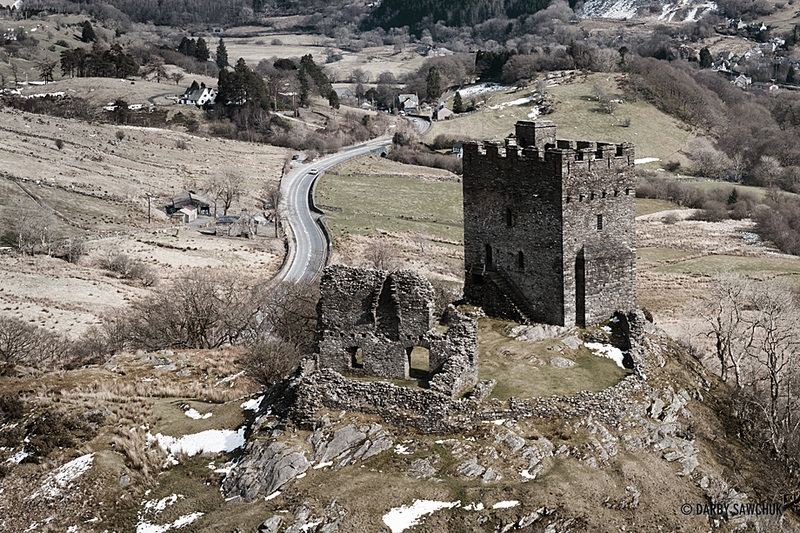 The hilltop ruins of Dolwyddelen Castle in North Wales. 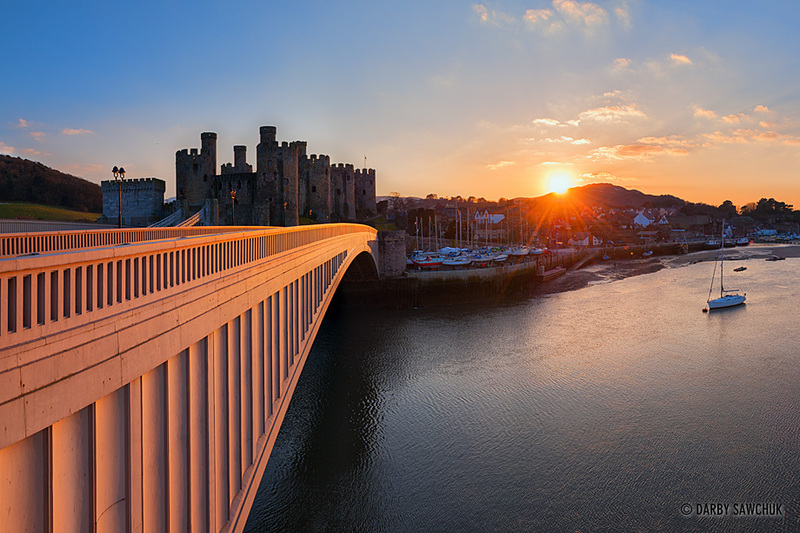 Keywords: photos of wales, images of wales, pictures of wales, uk, landscape photography, travel photography, architectural photography, fine art prints, stock photography, north wales, snowdonia, northern wales. Your pictures just keep getting better. 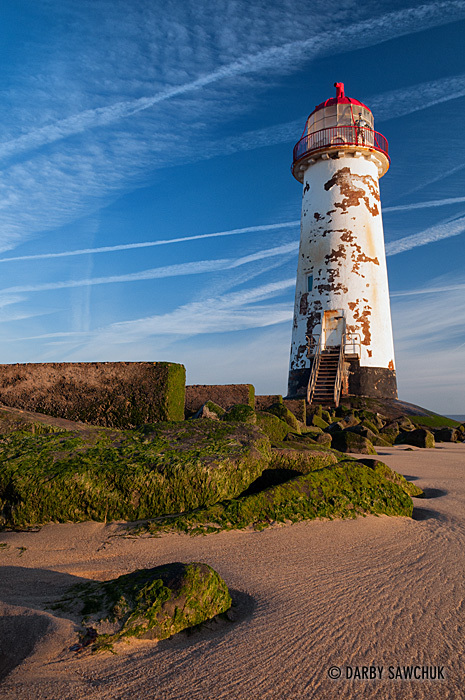 Very nice shots of Wales! Really enjoyed looking at your website. Some great images and I now feel like I have travelled the globe!. Mr Sawchuk your images are just breathtaking. I’ve looked through some of your other albums but these of Wales just an intense longing to be there. Supurb use of the sunsets natural lighting and late afternoon shadows to bring a depth to each landscape. I have hopes to soon travel to the UK and your images are a wonderful inspiration for locations to see.